Why go on a piano course? Piano courses are more popular than ever now, in part thanks to Alan Rusbridger's book 'Play It Again'. (For many years, Alan was a regular at what he described as "piano camp" - Lot Music, based in the Lot-et-Garonne region of France). So what is the attraction of a piano course? 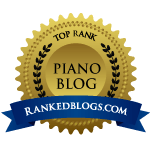 I think most pianists… Continue reading Why go on a piano course?